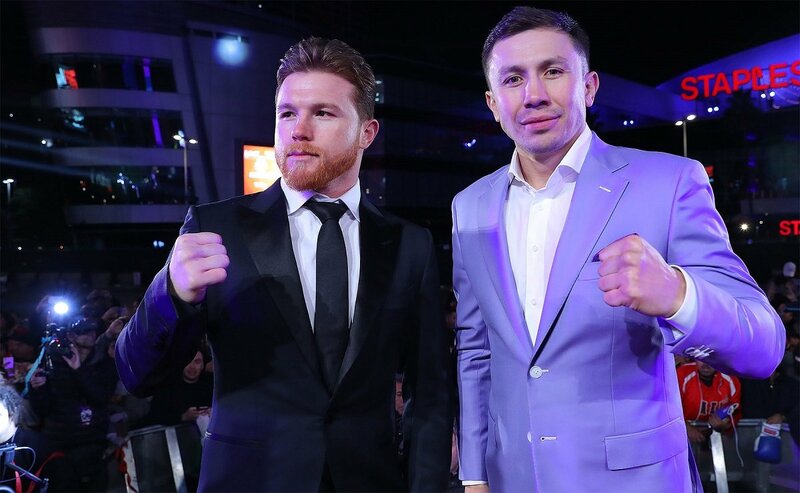 Daniel Jacobs could wind up facing his former spearing partner Sergiy Derevyanchenko if the IBF elects to strip middleweight champion Gennady Golovkin of his title if he faces Vanes Martirosyan on May 5th. Derevyanchenko’s promoter Lou Dibella is insisting that his fighter face Golovkin on May 5th, and he reportedly has already rejected a step aside deal made by GGG’s promoter Tom Loeffler. Dibella likes his fighter’s chances of beating Golovkin on 3 weeks’ notice. It might not work in Derevyanchenko’s best interest if he faces Golovkin on short notice and winds up losing the fight to him. Without much time to promote the Golovkin-Derevyanchenko fight, it would be a mistake for Dibella to let him take the fight under those conditions. Jacobs is rated #3 IBF and he would be the next highest rated contender in the International Boxing Federation’s rankings behind Derevyanchenko if Golovkin is stripped of his IBF title by the sanctioning body for choosing not to take the fight with the Ukrainian fighter on short notice on May 5. If Jacobs wants to become a world champion, facing Derevyanchenko will give him the quickest route to making that a reality if Golovkin is stripped of his IBF title for facing Vanes Martirosyan on May 5. If Jacobs doesn’t like his chances of beating Derevyanchenko, who he’s sparred with in the past, then he could choose not to take that fight. Jacobs is taking about wanting to fight Jermall Charlo after the Sulecki fight, and that’s a fighter that would likely beat Derevyanchenko. If Jacobs is confident enough to face Charlo, then he should face Derevyanchenko, because he’s not as powerful, big, fast or as athletic as Charlo. Jacobs is about to put himself in position to become the WBA mandatory challenger if he defeats Maciej Sulecki in their fight on HBO Boxing on April 28 at the Barclays Center in Brooklyn, New York. However, even if Jacobs becomes GGG’s WBA mandatory challenger, it doesn’t mean the sanctioning body is going to order the fight in 2018. At best, Jacobs will need to wait until 2019 before he WBA orders Golovkin to fight him. I don’t know that GGG will elect to fight Jacobs again because he already beat him in March of last year. Next boxing news: Results: “Shango” scores big win, but ready for top four?